Basically they are swashbuckling fun! 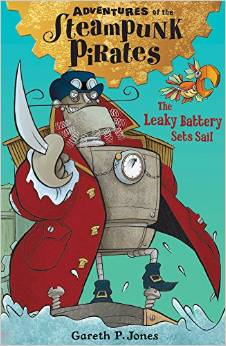 The first in the series, The Leaky Battery Sets Sail came out in February 2015 and introduces us to the brilliant Steampunk Pirates (you can find my review and extract here) and the second in the series, Attack Of The Giant Sea Spiders came out in May 2015 (my review will follow shortly). The series is published by the brilliant Stripes Publishing and I was over the moon to be asked to put some questions to Gareth! Interesting Fact Alert! 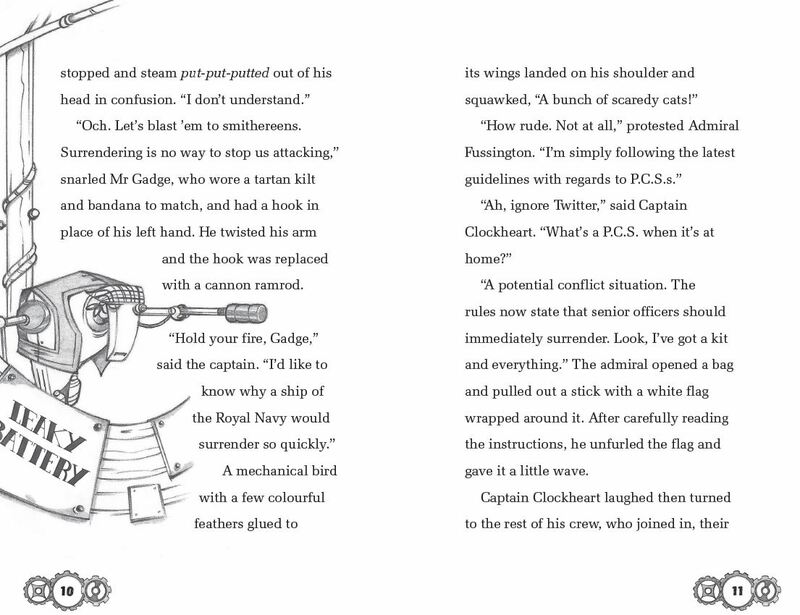 The brilliant illustrations in these books were created by a super-secret super-illustration team at Stripes! They are credited as ‘FAD’ in the books! Ohhhhh a mystery! 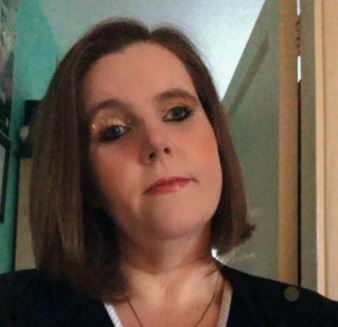 For this Q&A Pirate Chelley enlisted the help of crew member Corey to grill Gareth…..and if we are not satisfied with his answers then…..*splash* dinner time for the sharks….or should I say some Giant Sea Spiders! 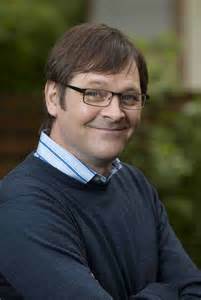 Michelle: Hi Gareth! Welcome to Tales Of Yesterday! This ship is officially setting sail now! We hope you enjoy your journey! Corey: These questions will decide if you will walk the plank and become that hungry shark down there’s dinner! He looks rather hungry! Michelle: Now step up on the plank….that’s it…watch you don’t fall and ruin our fun……..
Michelle: Can you tell us a little about your new books The Adventures of the Steampunk Pirates series? 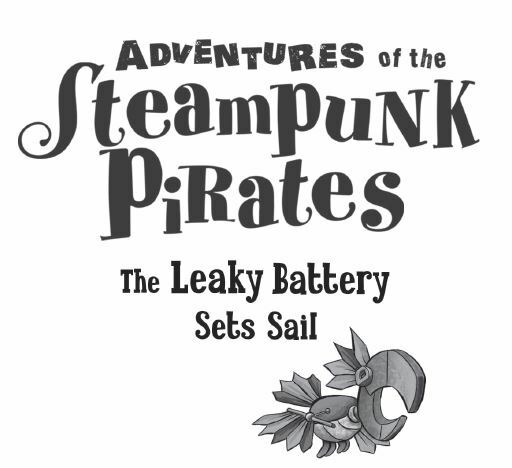 The Adventures of the Steampunk Pirates is a series of adventure books that are hopefully funny, silly, exciting and fun. Wanted: Dead or Alive! (Or smashed into little bits and delivered in boxes.) Causing chaos wherever they sail, the robotic Steampunk Pirates are roaming the high seas, hunting for gold! But the evil Iron Duke has other ideas…He’s determined to capture the pirates in return for a handsome reward from the King. Can the mechanical marauders stay one wave ahead of their enemy? Wanted: Dead or Alive! (Or smashed into little bits and delivered in boxes.) The Steampunk Pirates jump at the chance to earn a handsome reward in return for doing some snooping. But when they find themselves sandwiched between the Dread Captain Inky beard and a spider on the attack, it’s time to beat a retreat. Can they escape without a scrape or have the robotic rebels ticked their last? Corey: What inspired you to write the story of the Steampunk Pirates? I was playing pirates with my son and another boy, when the boy (whose name I forget) turned into a robot. Robot pirates, I thought. That’s an idea. Michelle: We are glad to hear that you have played pirates before…..lets hope you practised WALKING THE PLANK! Corey: What materials are the Steampunk Pirates made of eg metal, gold etc? That’s a good question. They were constructed out or iron, (with a few bits of copper along the way) but as the series goes on they are gradually replacing their rusting parts with other materials they find. Their favourite is gold. Corey: Which character are you most like? 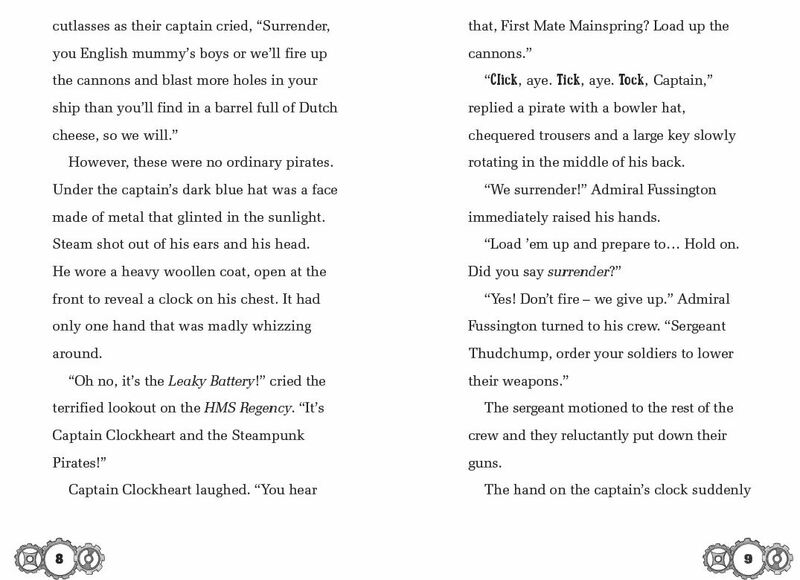 Captain Clockhart, Quarter Master Lexi, Gadge or First Mate Mainspring? That’s an even better question. Well, like Lexi, I have a love of words. 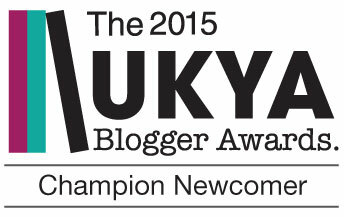 Like Mainspring, I am always plotting something (normally a book). Like Gadge, I love singing songs. 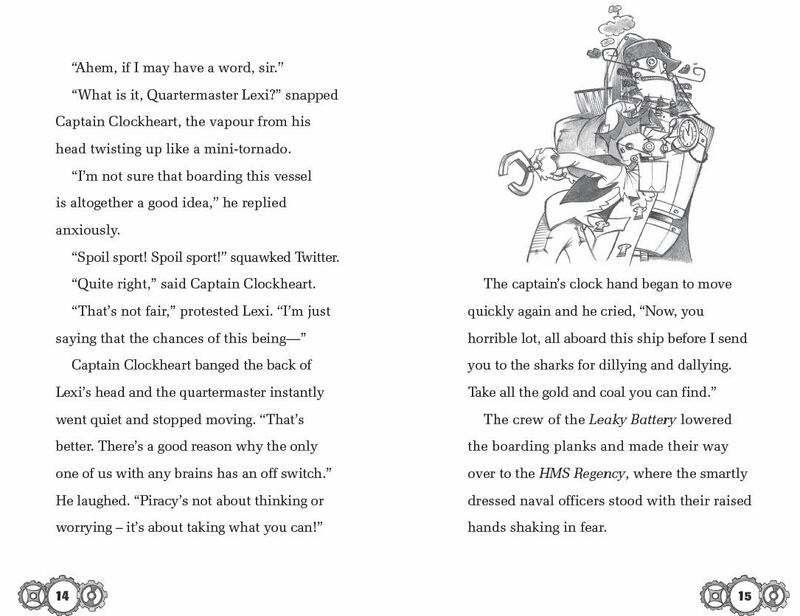 And like Captain Clockheart, I am a little bit mad and get a tad over-excited sometimes! Michelle: Woah! *Gareth wobbles after getting a tad over-excited* – Watch it there we still have lots more questions before you go for your swim…. Michelle: I have been trying to teach Corey to speak Pirate…..can you help? Any tips? There be all kinds of pirates with all kinds of voices. The important thing is for Captain Corey to find his own unique pirate voice. One tip is that a pirate Argh should have a ‘gh’ in it. Michelle: The Steampunk Pirates often find themselves in some difficult tricky situations! When was the last time you found yourself in a situation that was hard to get out of and what did you do? I live in south London so most of my tricky situations involve buses suddenly terminating before I’m home. Usually I deal with this by a) getting on another bus b) going for a coffee or glass of ale (depending on the time of day). Michelle: Don’t worry Gareth…..there is only water where your going…..come along step a little closer to the edge now…. 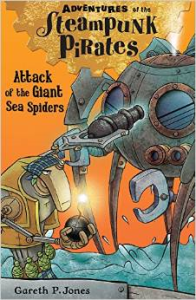 Corey: In this new adventure the Steampunk pirates have to face the giant sea spiders can you tell us more about these? I can’t say much or the French commander Didier Le Bone has threatened to chop off my legs and serve me with a plate of snails. 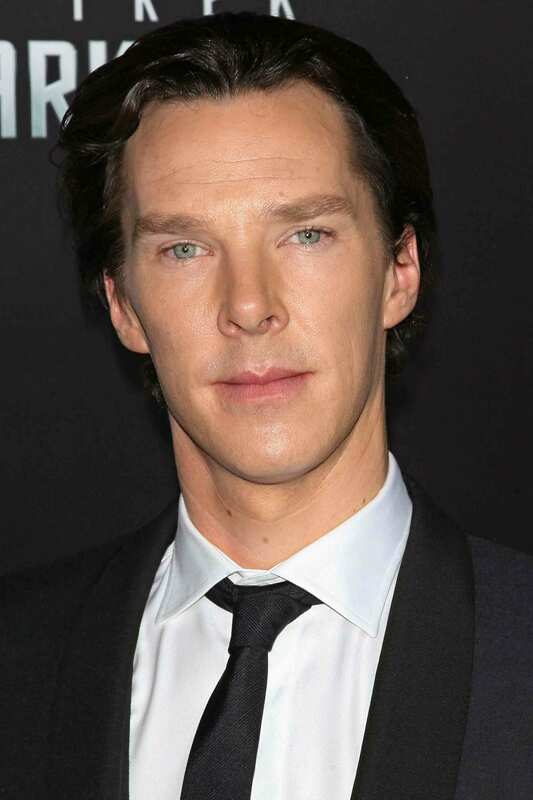 Michelle: If you could cast your characters from The Steampunk Pirates in a big Hollywood film adaptation or animation which actors would you choose? Corey: Do you like to make your readers laugh? Corey: We love Twitter! What made you call the Steampunk Pirates parrot Twitter? It was a joke for myself really. An annoying parrot that repeats obvious things and bugs everyone. What else could I call him? If he showed everyone pictures of children or told everyone about his latest marathon efforts then he’d have been Facebook. Michelle: We would love to know a little bit more about you! Can you give us 5 random facts we don’t know about Gareth P Jones? Corey: If you could be any pirate that had ever lived who would you be? My Mom says she wishes she could meet Johnny Depp and marry him! I think I’d be one who survived and lived long enough to retire and enjoy his ill-gotten gains, so bearing that in mind, Sir Henry Morgan who did all that. 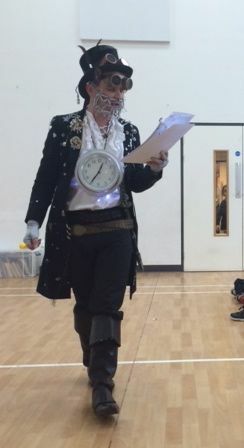 Corey: We read in the back of the book that you spend a lot of time turning yourself into a Steampunk pirate? Is this true? Any pictures? Corey: Can you tell us a little about some of your other books? I’ve written lots of different books. 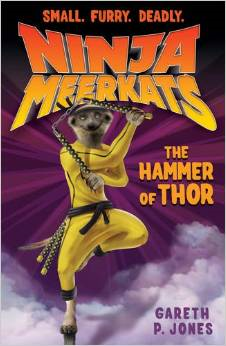 There is a series about Ninja Meerkats. There is a book about a pair of twins trying to kill each other (The Thornthwaite Inheritance). There is a book about ghosts (Constable & Toop). 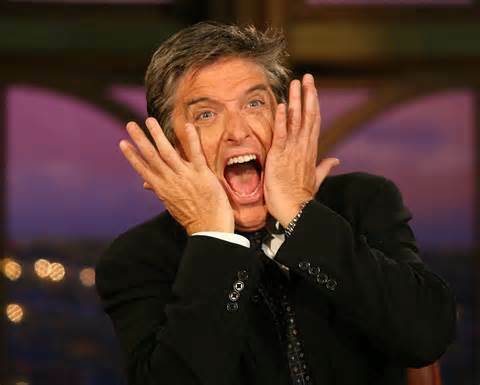 Michelle: Oh wow…..he has written a lot of books you know Corey…I think we better get him down from the plank now! Michelle: Growing up who inspired you into writing? Are there any Authors or books that inspired you? I don’t know about other specific authors inspiring me, but I certainly had lots of encouragement from my parents and teachers. Everything I read and watch inspired my love of stories. 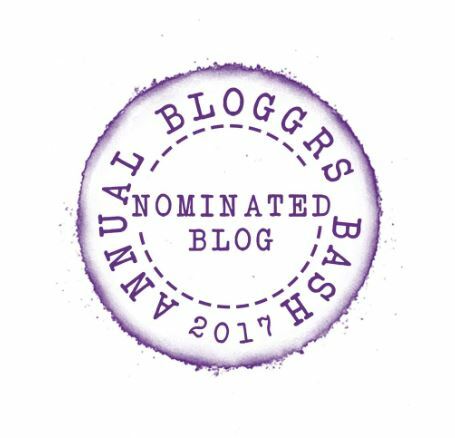 Michelle: Are there any recent works or authors that you admire or books you wish you had written or that you would like to collaborate with in the future? I don’t think it’s possible to wish you’d written a book as you would have written it differently but there are certainly some books that I wish I’d had the same success as. Corey: What do you think makes a good story? 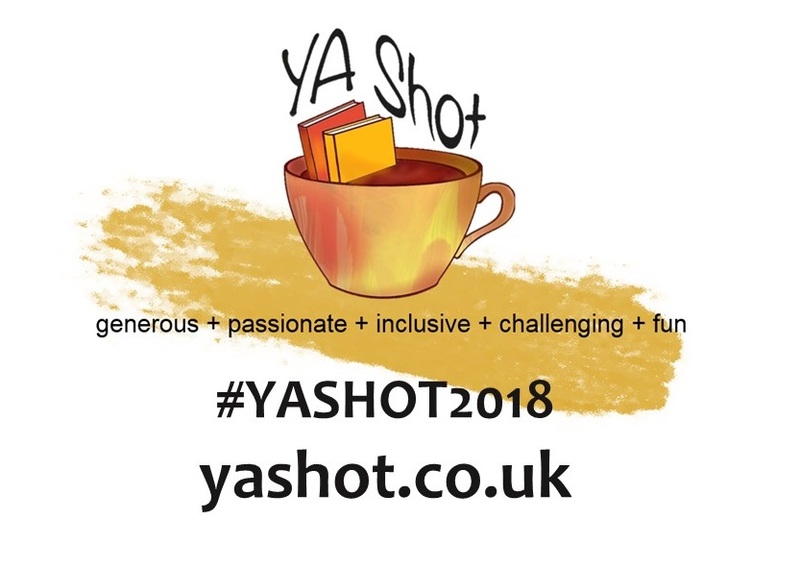 Michelle: Over on Tales Of Yesterday I have recently been asking YA authors if music has any influence to their writing and/or characters. Is there a particular song that influenced The Steampunk Pirates and/or it’s characters and if so how or why? Or maybe like a theme song for the characters? Yes, there is a theme tune. You can find it here! These days I compose theme songs for my books as I’m writing. When I listen to other music while writing pirates, it’s stuff like the music for Pirates of the Caribbean. There’s a terrific song by Rodrigo y Gabriela called The Pirate That Should Not be. Michelle: What’s next? Any exciting plans that you are able to reveal? Any more contributions to The Steampunk Pirate Series? I’m currently working on the fourth in the series. 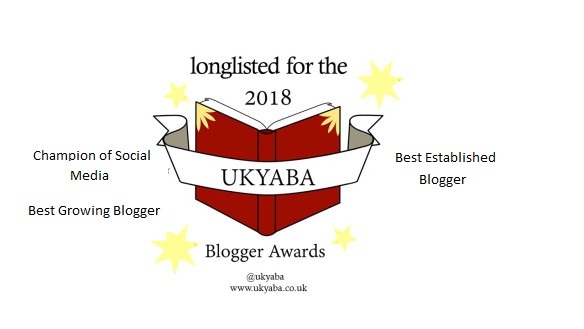 In fact today is the deadline day so I’d better get back to work…..
Michelle: Okay Okay…..I suppose we can let you off this time as we really want the next book in the series asap! Michelle: *turns to walk away* …I mean we were not really going to make you walk the plank and feed you to the sharks were we Corey? 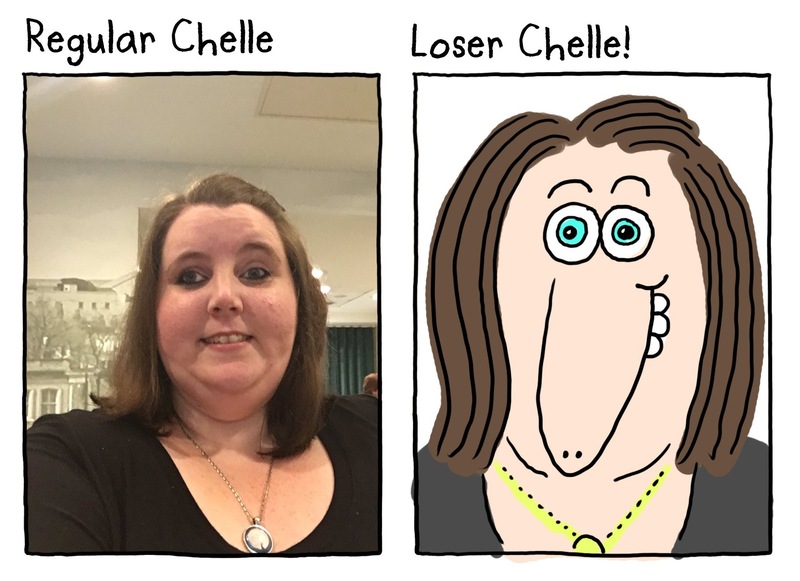 Michelle & Corey: UH! OH! HOW ARE WE GOING TO EXPLAIN THIS TO STRIPES PUBLISHING! 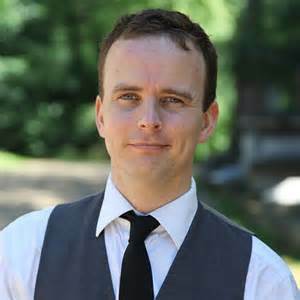 A huge thank you from myself and Corey to Gareth for featuring today and for answering all or questions….and making us laugh….a lot! Also a huge thank you to Jessie at Stripes Publishing for organising and letting us ask Gareth anything we wanted to! 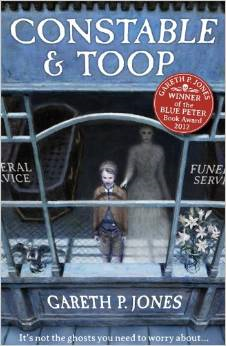 You can buy Gareth P. Jones books here or by visiting the Stripes publishing website here. The Adventures Of The Steampunk Pirates continues soon with the Clash Of The Rival Robots! I can’t wait! 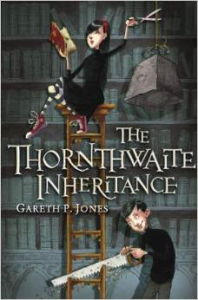 Have you read this book or an other books by Gareth P Jones? What did you think? Are there any other pirate books I should read (I love pirates!)? If you could create a Steampunk Pirate what would it be called? I would love to hear from you! 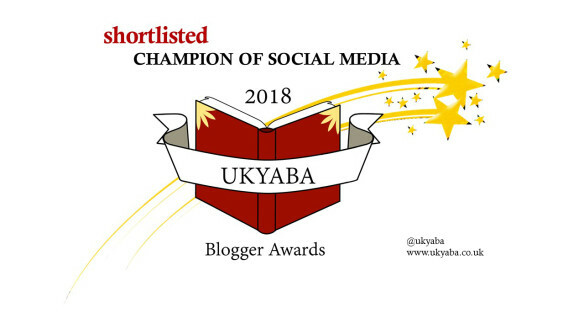 Why not leave a comment using the reply button at the top of this post or tweet me on twitter (not the bird from the book but actual twitter) using @chelleytoy ! Happy walking the plank and fearing Chelley The Pirate….arrrggghhh! 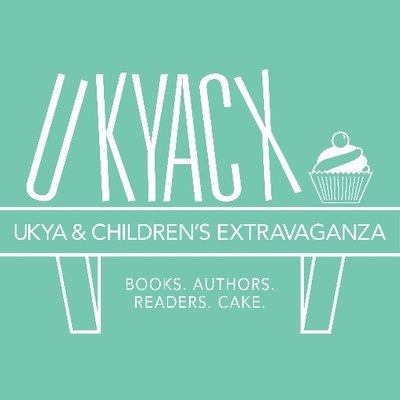 This entry was posted in Action / Adventure, Author Q&A, MG, UKMG and tagged Action, Adventure, Adventures Of The Steampunk Pirates, Attack Of The Giant Sea Spiders, Gareth P Jones, MG, Pirates, Q&A, Stripes Publishing, The Leaky Battery Sets Sail, UKMG on May 19, 2015 by Chelley Toy. Wanted: Dead or Alive! (Or smashed into little bits and delivered in boxes.) 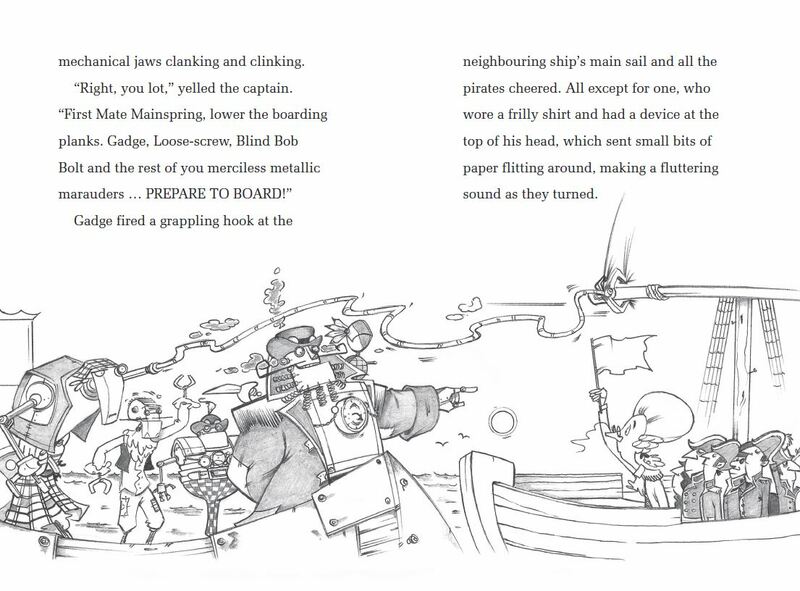 Causing chaos wherever they sail, the robotic Steampunk Pirates are roaming the high seas, hunting for gold! But the evil Iron Duke has other ideas…He’s determined to capture the pirates in return for a handsome reward from the King. Can the mechanical marauders stay one wave ahead of their enemy? This hilarious new series from Gareth P. Jones, author of Ninja Meerkats, is sure to delight young readers with its madcap humour and larger-than-life robot pirate crew. Perfect for fans of Jonny Duddle’s The Ghostly Galleon and the Space Pirates books, looking for more swashbuckling action! 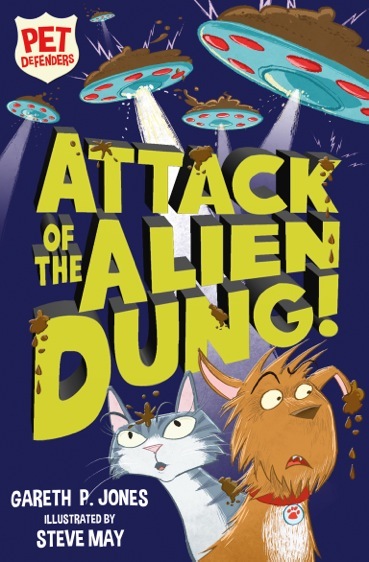 I was originally approved on Netgalley for a copy of this book for my kindle, but I was then contacted by the wonderful Stripes Publishing and asked if I would like a hard copy of this book – to which I jumped at the chance! 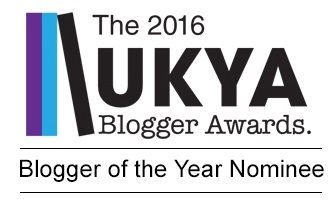 This does not affect my review or my opinions in any way and am delighted to write an honest review. Thank you to Stripes Publishing for sending me this book to read! Wow! Right you salty sea cogs! I don’t normally start my reviews with a quote, but I felt it necessary for this one! I am a huge fan of anything to do with pirates! 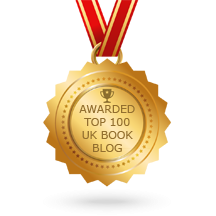 So I was very excited to be asked to be a part of the blog tour to celebrate the release of this book. I love pirate books, films (especially Johnny Depp), theatre productions…well mainly Johnny Depp…..I mean pirates really! I love them and their swashbuckling ways and this book certainly did not disappoint and all with a slight twist on the “normal” type of pirates we meet *whispers not Johnny Depp*. 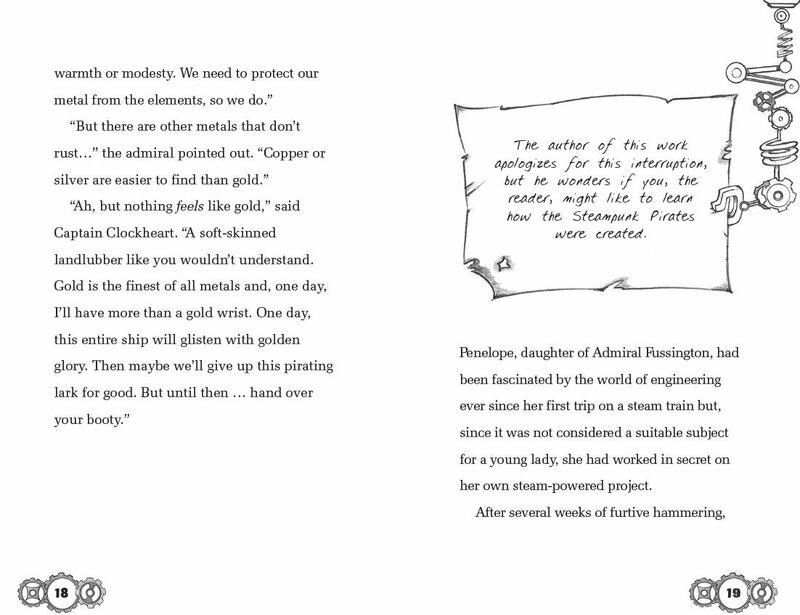 You see the Steampunk Pirates in this book are made out of metal and were created with the intention of being robot slaves! 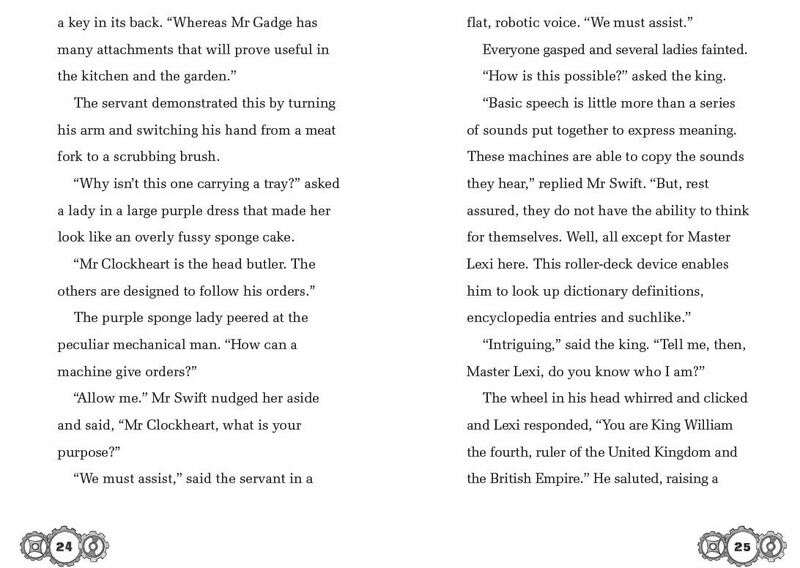 Steam powered, self governing automatons created by the celebrated inventor Mr Swift to be precise. 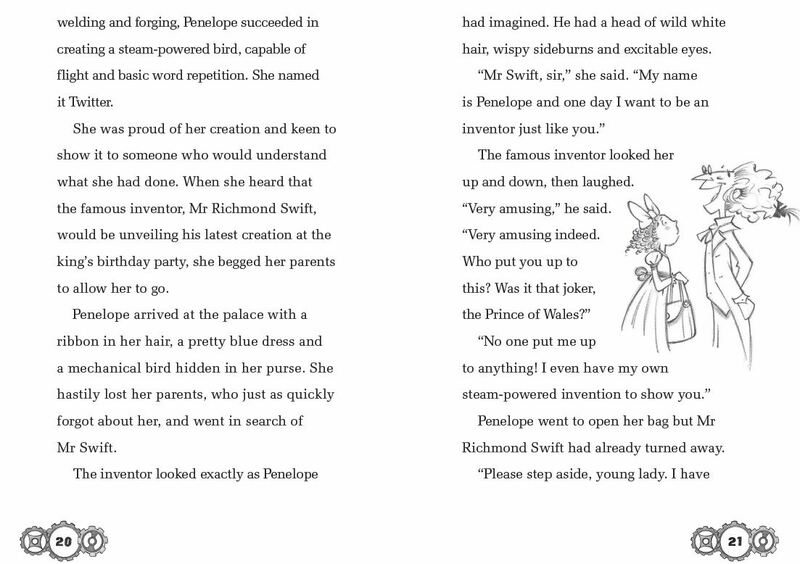 One day a young girl called Penelope sets them free and they start their adventures on the high seas as pirates! Wanted Dead Or Alive and lead by mutiny hating Captain Clockheart, he and his mighty crew, including First Mate Mainspring, Quartermaster Lexi, Mr Gadge and a robotic bird called Twitter soon make an enemy in the Duke and venture on a quest to find the man who can turn their rusting metal into gold – goldify them! Yes goldify is now my favourite new word! 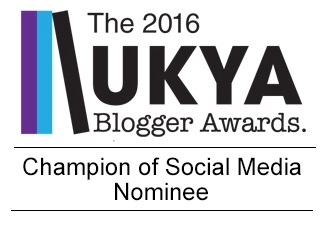 Although I have been warned…. Now in fear of the Steampunk Pirates getting hold of me and dangling me by my bootlaces and offering me to the sharks I read this book in virtually one sitting! Well that was mainly because I enjoyed it not out of pure fear really *gulps*. 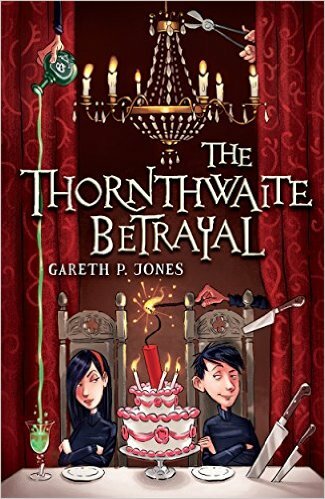 Straight from the offset you get drawn into the Steampunk Pirate world with immediate action, with cannons firing and climbing aboard another ship Gareth P Jones introduces these fab characters with a bang and all with catchy pirate songs throughout! Whilst I loved all of the Steampunk Pirates the English tea loving Duke gave me a few good chuckles along the way too with one memorable moment when the Duke and many men are in a small boat and he decides some have to go! Into the sea! 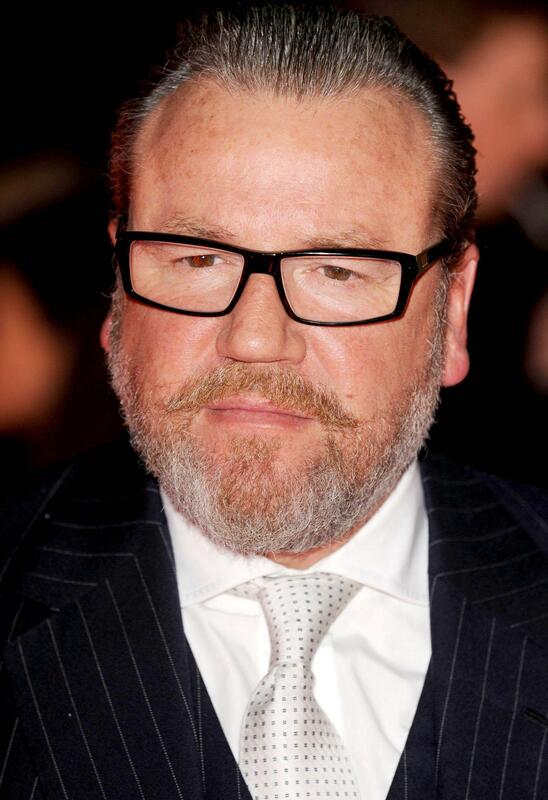 He selects a large man, who stands up to give his last farewell speech…. “Yes Sir” The large sailor jumped off. This book is full of humour which was right on my wave length! 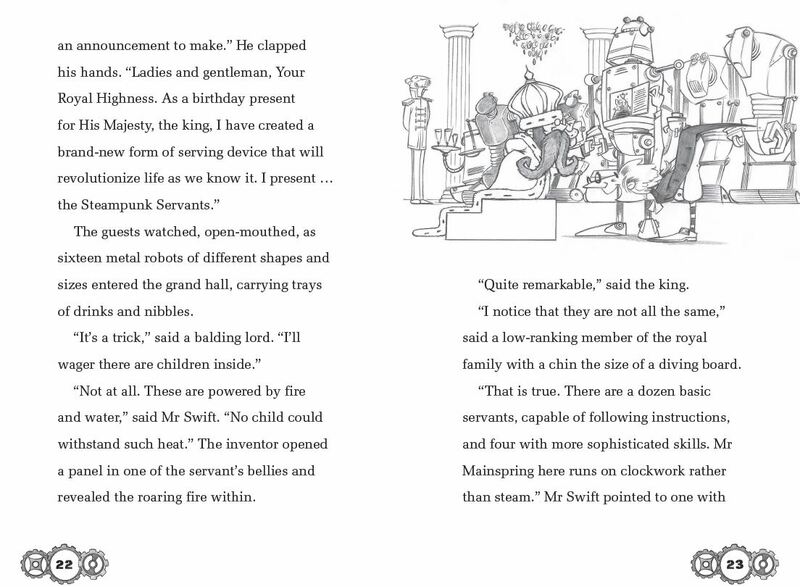 The illustrations in the book are just beautiful and perfect and act as a source of humour also! I especially loved the picture of Mr Goldman…oh how I would love to meet him in real life! Even the pages of this book were wonderful with the page number surrounded in cogs. I also loved the way the author takes time to speak directly to the reader often before writing a flashback to how the robot slaves became pirates or change of scene and then again speaking direct to the reader in a humorous way to bring you back to the action. I’ve not read any other Gareth P Jones books (my son has) so I’m not sure if this is his normal style, but it really worked and just kept me entertained throughout. I will definitely be raiding my sons book shelves for more Gareth P Jones books asap. Although this 1st book in what I hear is a series details the Steampunk Pirate origins and is basically an introduction to them and their world I do not think this affected the action or plot of the book and the Leaky Battery, the Steampunk Pirates boat, definitely set sail in style! 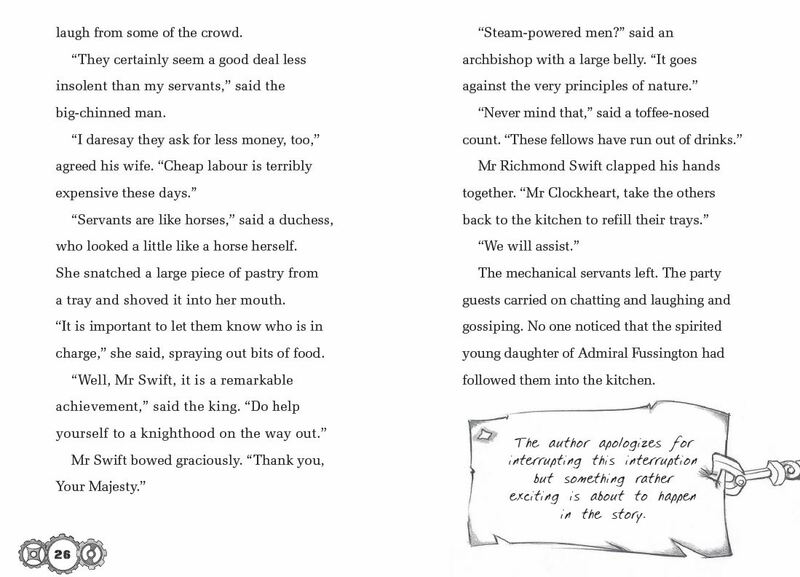 The Steampunk Pirates learn that working together is the key and learn that it doesn’t matter what your made of everyone is the same on the outside …a beautiful message to send out to many children and adults that will read this book. 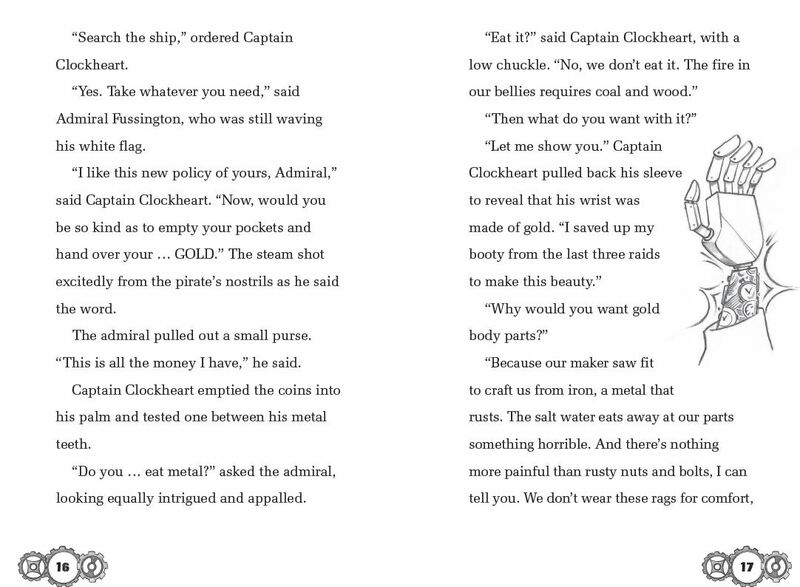 I would love to one day meet Captain Clockheart and his mighty crew again (I hear I will in May when book 2 is out! ), but in the meantime I may take to the high seas and become Chelley The Pirate who everyone will fear!!!! Hmmmmmm…… I think I have as much chance of survival as a rat who has made his home in the barrel of a cannon! 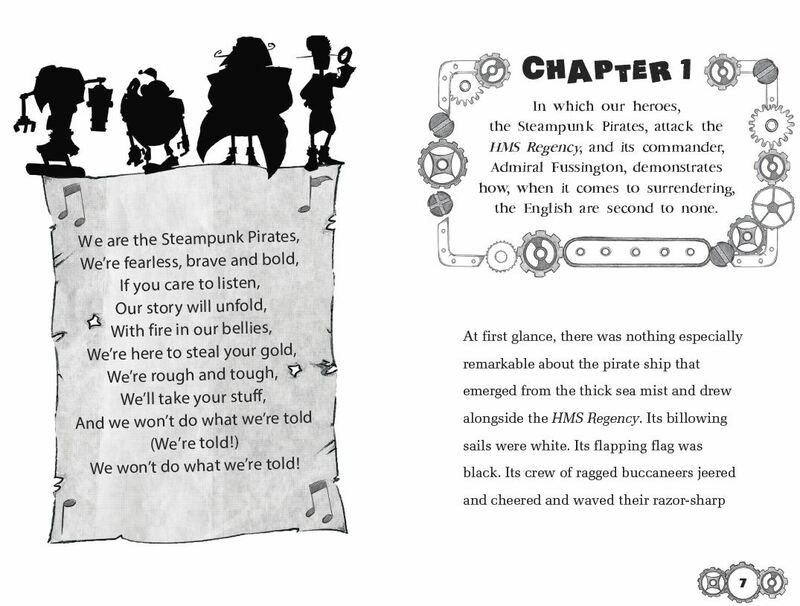 I am honoured, with the publishers permission to be able to share a fab extract with you which highlights the fab illustrations, the beautiful cogs as the page numbers, the humour and of course gives a fab insight into the world of the Steampunk Pirates! Enjoy! You can buy this book here or by visiting the Stripes publishing website here. The Adventures Of The Steampunk Pirates continues in May 2015 with the Attack Of The Giant Sea Spiders! I can’t wait! 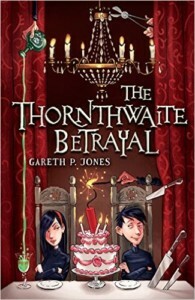 Have you read this book or an other books by Gareth P Jones? What did you think? Are there any other pirate books I should read (I love pirates!)? If you could create a Steampunk Pirate what would it be called? I would love to hear from you! Why not leave a comment using the reply button at the top of this post or tweet me on twitter (not the bird from the book but actual twitter 🙂 ) using @chelleytoy ! This entry was posted in Action / Adventure, MG, Review, UKMG and tagged 5, Adventures Of The Steampunk Pirates, Gareth P Jones, MG, Stripes Publishing, The Leaky Battery Sets Sail, UKMG. 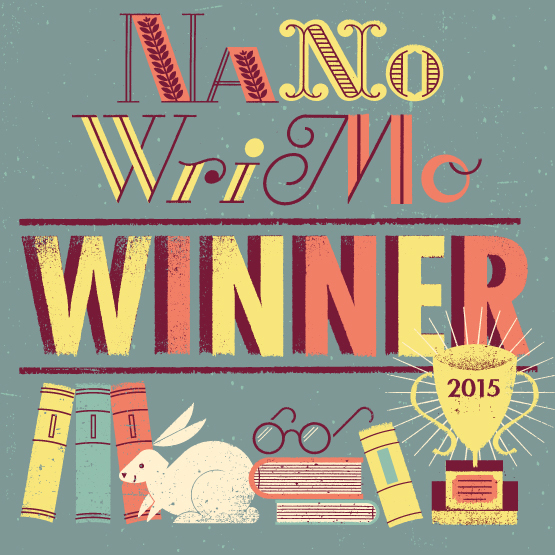 Review on February 4, 2015 by Chelley Toy.